When we think back on our childhood, there’s a lot that we’re grateful for. One of the things we really appreciate that people don’t always expect to hear, however, is that we were raised in a creative family by DIY loving parents who adored crafting, and who passed that love of all things handmade on to us! We started with the easy stuff (think cutting and pasting) just about as soon as our kids were old enough to sit up on their own, but now that they’re a little older and ready for more of a challenge, we think it’s time they started learning a few basic stitching and needlework techniques that will help them work towards learning how to sew. 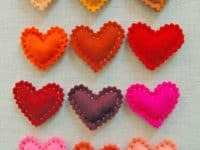 Just in case you’d like to teach your kids how to sew just as much as we want to teach ours, if not more, here are 15 of the simplest, most helpful resources that we’ve come across in our search so far. Are you convinced that your kids are ready to learn how to sew in straight lines on the sewing machine, but the practice of doing proper seaming where you start inside out and flip the piece after seems a little too advanced for a first try at their age? 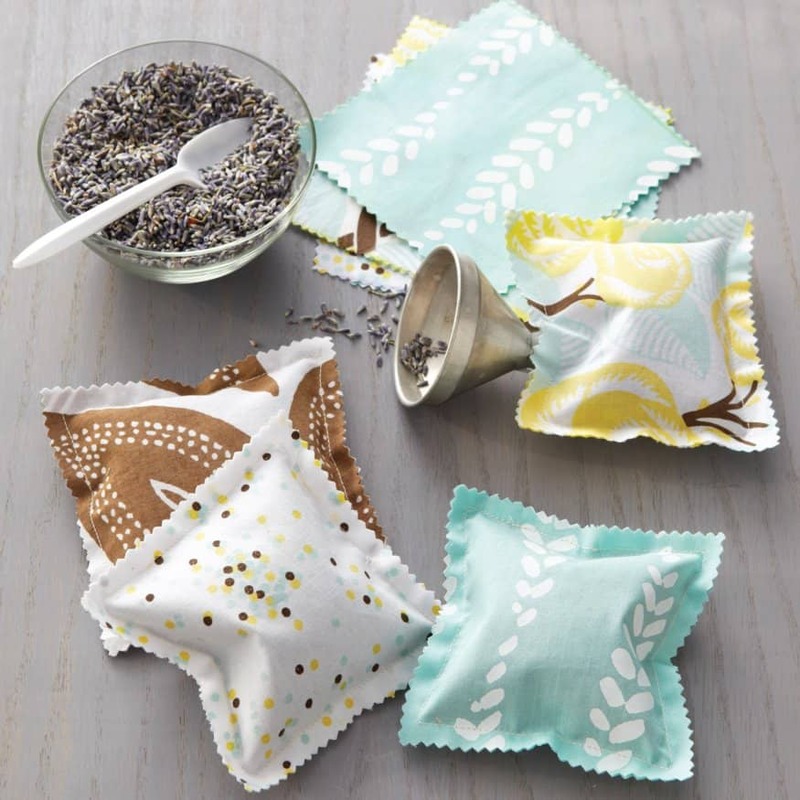 Then we think perhaps you’d get along a little better with these adorable lavender scented sachets! 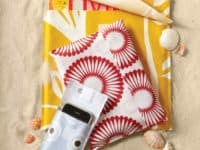 Martha Stewart shows you how to cut them with zigzag scissors so your kids can leave raw edges and still end up with a neat looking finished product, only practicing their straight lines for the time being. We like that they’ll get a little look at how sewn projects are stuffed and then sealed as well! 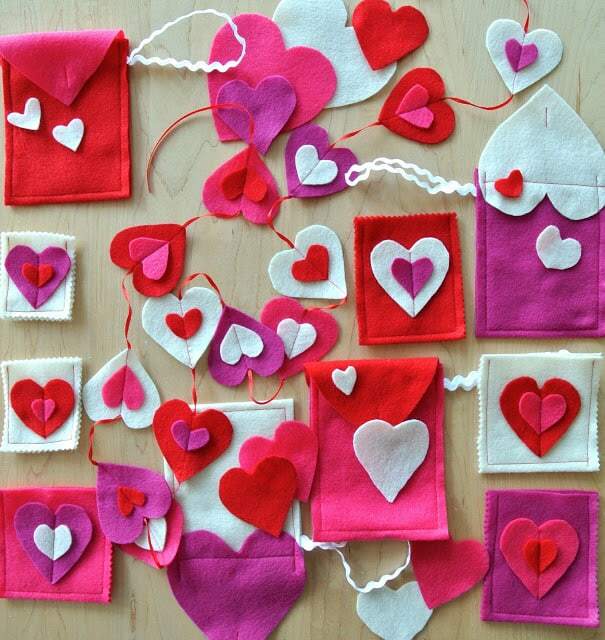 It might not be time for Valentine’s Day just yet, but if we’re being honest, our kids are just enjoy the process of crafting so much that they’ll make just about any themed project at absolutely any time of year, so long as it means they get to make something. 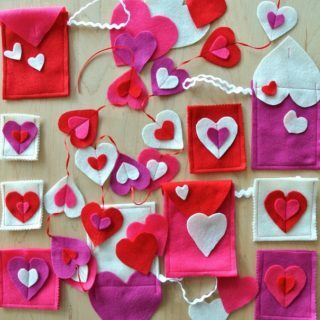 That’s why we had no hesitations about including these adorable layered felt heart hangers outlined step by step on Valz Corner! 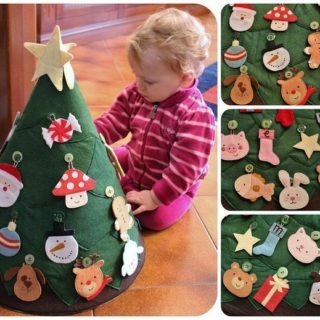 This is another great way to teach your kids how to maintain neat, straight lines, but this time in a way that lets them see how different laters of the same project can be stacked and sewn. 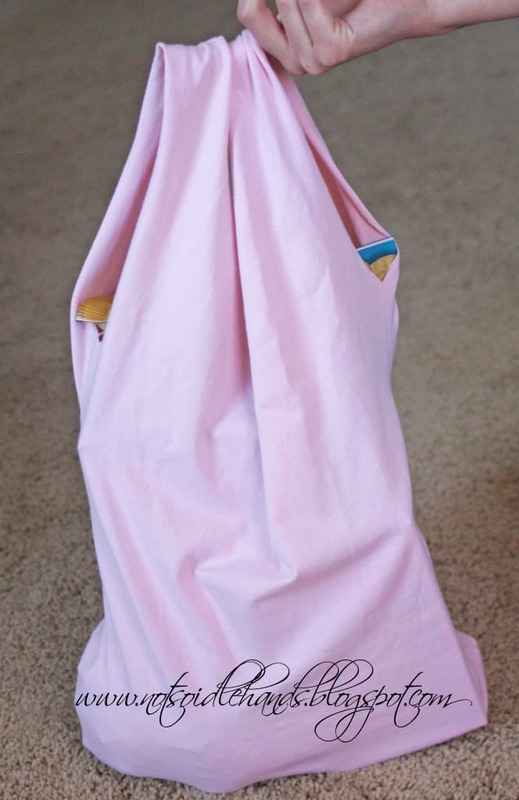 Just in case you think that actual turned in seams are something that your little ones can handle right now without too much trouble, here’s a simple project that’s not to big and is an easy shape, just to give them a manageable first try at make those seams happen! 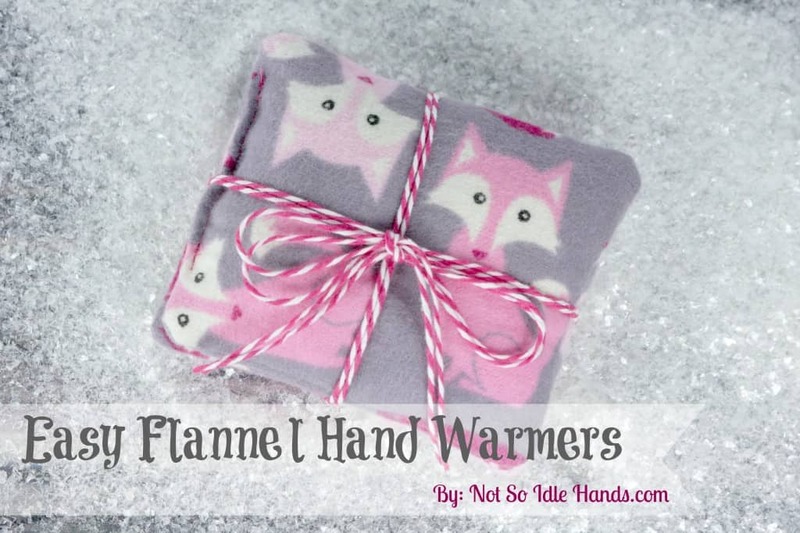 Check out how Not So Idle Hands made these adorable hand warmers that you can put in the microwave and then hold on cold mornings while you wait for the school bus. 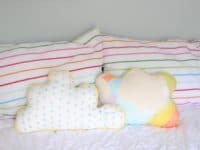 They show your kids how to make three proper seams and then how to do a neat job of sewing up that last raw edge as well so it stays subtle looking! 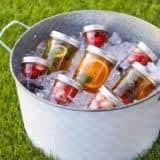 Are you convinced that your kids would have a better time making something and keeping their attention it if it were something they’ll probably use again or get to play with after their done? Well, we know that this certainly rings true in our household, so we can’t blame you! 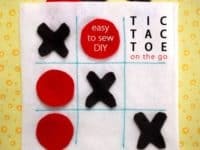 We’d definitely suggest taking a look at how Spoonful made this awesome felt Tic Tac Toe travel game where the board is not only embroidered, but is also a pocket to put the pieces in when you’re done playing. 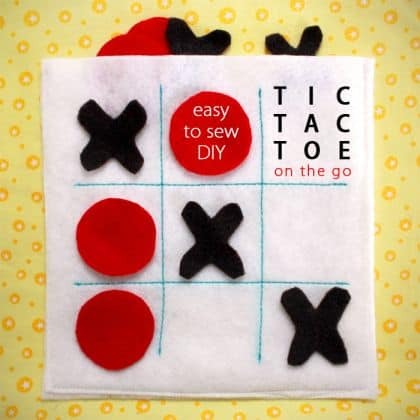 Are your kids board of sewing simple squares now that they’re tried it a few times and they’re yearning to get something a little more colourful and exiting under their needles, despite the fact that they’re not really ready for too much more of a challenge? 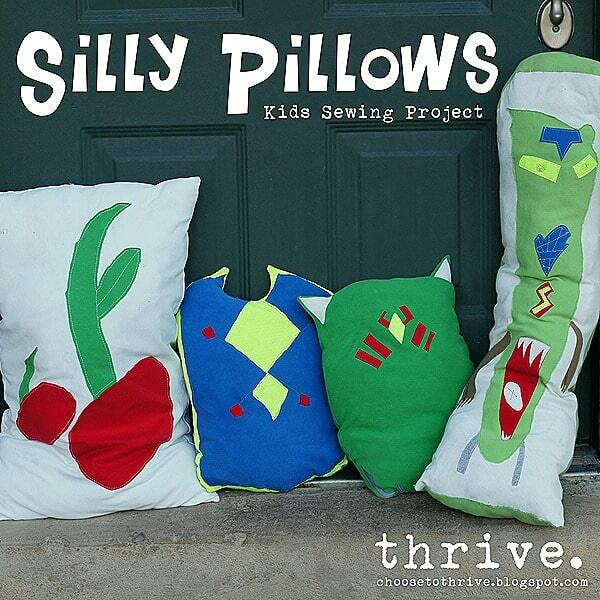 Then we’d encourage you to take a look at how these funny “silly monster” pillows were made! 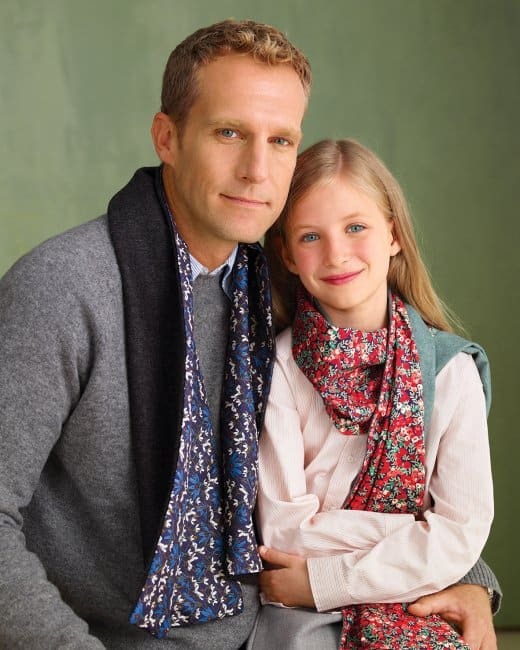 Your kids can help you design the pattern before it’s printed, but all they really have to do when it comes to sewing them is following the outer edges of the simple shape. Get the full details for making this happen on Choose To Thrive. 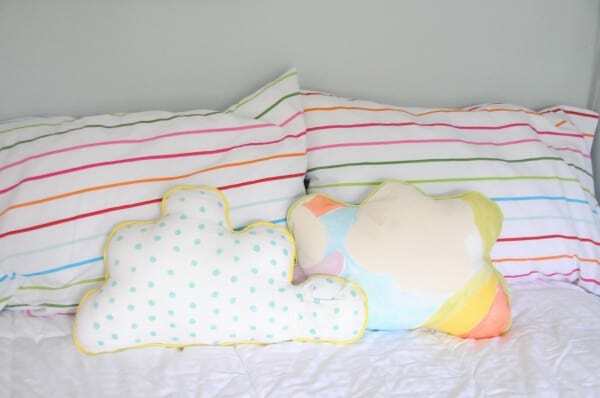 Were you a pretty big fan of the idea of having your kids sew for pillows but the idea of custom printing things is just a little bit too high maintenance for you right now when you have so much cool, brightly coloured fabric on hand already? Then why not teach them how to make simple pillow cases instead, just like the slip-on ones that are already on their beads? We think they’ll be surprised to learn just how simple something like a pillow case really is to make. 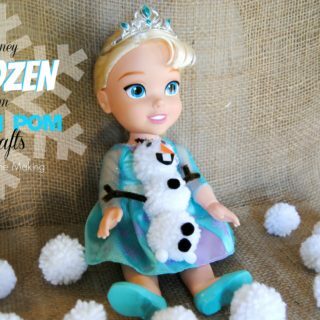 get the full details for a kid-friendly method on Dana Made It. 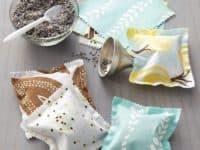 Did you love the scalloped looking, unfinished edges that you saw in the scent sachets we showed you earlier on our list, but your kids are adamant that they’re ready to start sewing other shapes than just squares and things with straight lines? 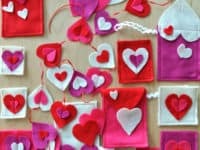 Then maybe it’s time to try their hand at a simple heart shape instead! 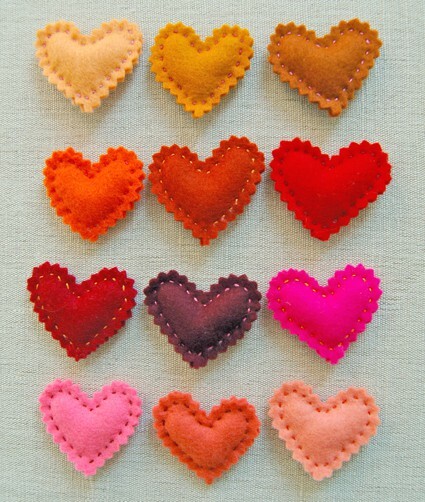 We love the way Purl Bee sewed these very easy hearts out of felt, gluing safety pins to the back of the finished hearts to turn them into brooches. 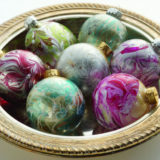 We think these would make lovely gifts! 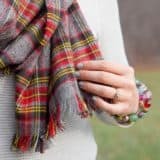 Have you actually been scrolling through our list hoping to find a project that’s got a little more shape and structure than some of the things we’ve shown you so far, just so your kids can work their way towards eventually sewing the different pieces and elements of a garment someday soon? Then we’d definitely suggest starting out with something like this adorable DIY tote bag sewn from and upcycled t-shirt! Not So Idle Hands shows you how it’s done. 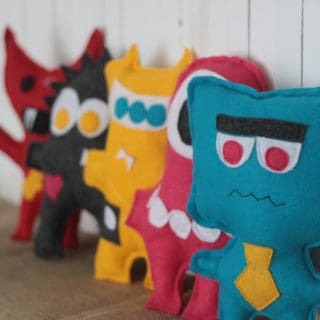 Do you think your kids would be the most motivated to keep working at their sewing if the things they’re making is something they’ll actually use, but you think they might be a little too old for the sewn felt game we showed you earlier? Then perhaps you’d have better lucky getting them to make fabric covers and protectors for their favourite electronic devices instead! 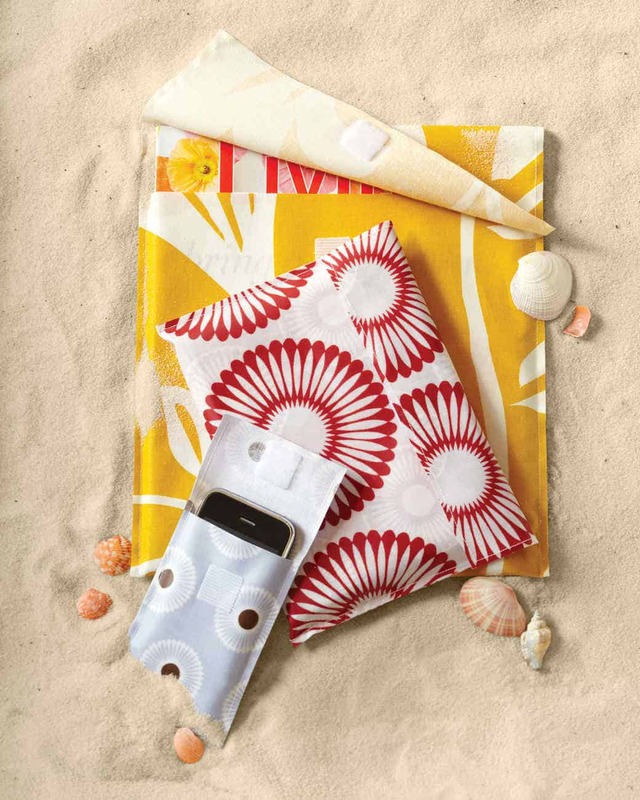 Get the full instructions for making these Velcro closing beach covers in just a few simple steps on Martha Stewart. Are you actually just in the process of introducing your kids to the sewing machine for the first time and you’re finding that they’re having trouble perfecting their straight lines as they go because they’re struggling not to let the fabric bunch up under the needle as they feed it through? Then perhaps practicing once or twice on some card paper in the machine would be helpful, just until they’ve got the hang of sewing straight! 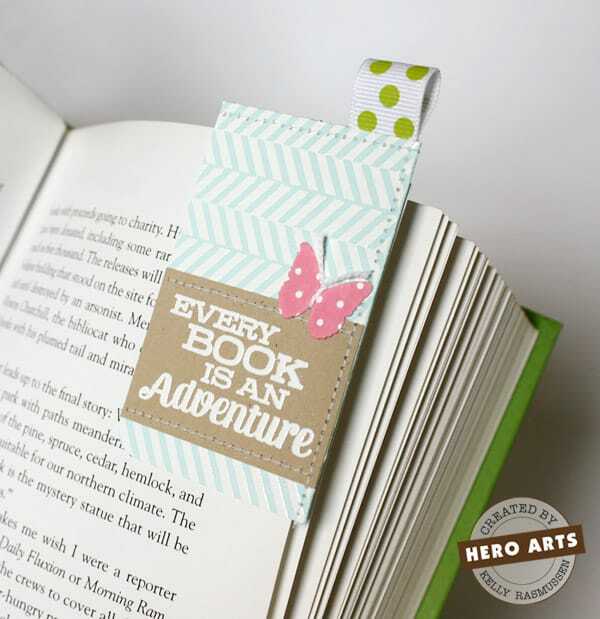 Rather than sewing sense lines into sheets, however, we’d suggest making these neat page corner stitched paper bookmarks outlined on KR Creations so that your practice is productive. Perhaps your kids have actually picked up basic sewing like total champions and they’ve been begging you to show them how to sew clothes, but you’re not sure they’re quite ready to tackle full sized garments just yet, even though they’re quite little in size themselves? 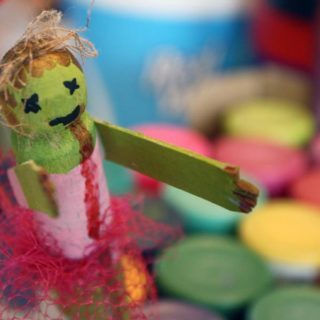 Then we’d suggest helping them sew for their dolls instead! 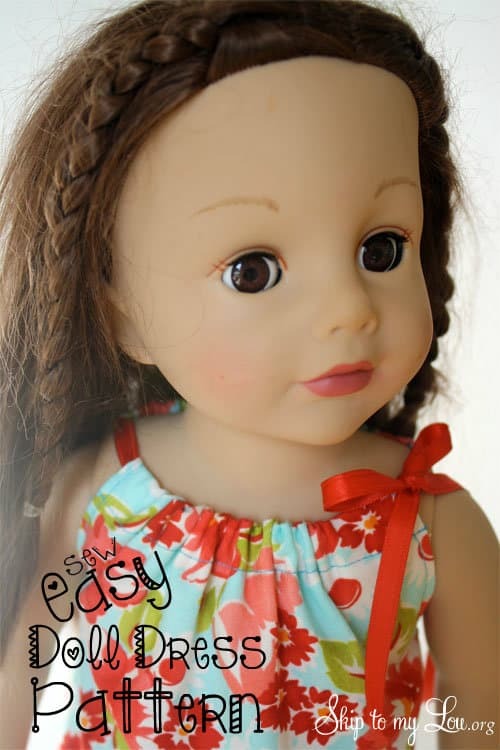 Take a look at how Skip to My Lou made these adorable doll dresses with a ribbon threaded through a fold over and bunch at the neck. 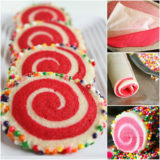 It’s way easier than it looks, which might make your kids feel particularly accomplished! 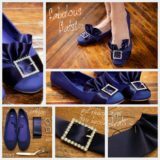 Are your little ones actually already interested in fashion and accessorizing and totally catching on to the fact that learning how to sew is the key to a whole world of cool fashion pieces that are customized to what they like? 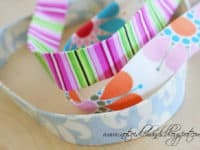 Then we’d definitely suggest showing your budding little future fashion designs how to make themselves these cute fabric headbands, just for a starter project until they’re ready to design their own runway collection. 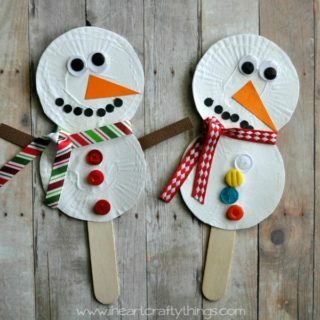 Get the full details and instructions on Not So Idle Hands. In our house, the kids always get excited about watching our scrap fabric bin fill up because they know that’s where the materials for a lot of their projects and sewing endeavours will come from. The more stuff that goes in, the more little sewn trinkets they can make until they’re ready to tackle a bigger project! 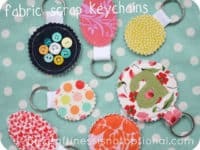 For now, we’ve actually got them making these adorable little circular fabric and scalloped edge keychains for all their friends, showing them how to embellish them in different ways thanks to some guidance from Craftiness Is Not Optional. Have your kids perhaps already mastered the hairbands we showed you earlier and similar accessories like that but they’re still itching to get into sewing things that you or they might actually wear, even though they’re not quite confident enough yet to try their hand at something like a shirt or a skirt? 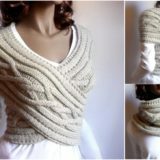 In that case, maybe they’d do well with something that falls between those two options in size, like these reversible scarves! 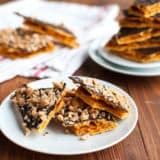 Get the full, neatly outlined instructions for making these happen on Martha Stewart. 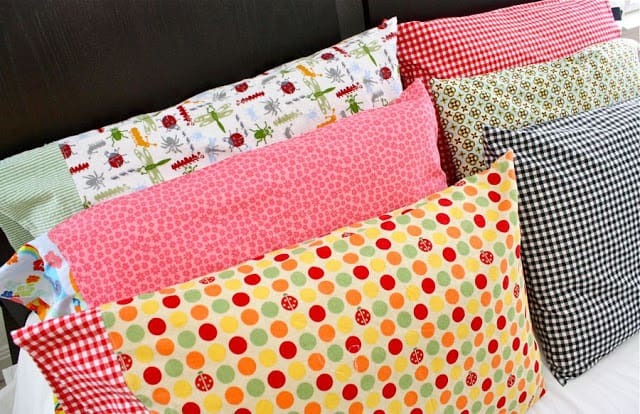 Are you actually still thinking about how much you liked the idea of teaching your kids how to make snuggly pillows of their very own, but you just haven’t quite found the idea that appeals to you the most yet? 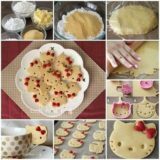 Then maybe these adorable, almost kawaii looking clouds would be slightly more along the lines of what you’re looking for! 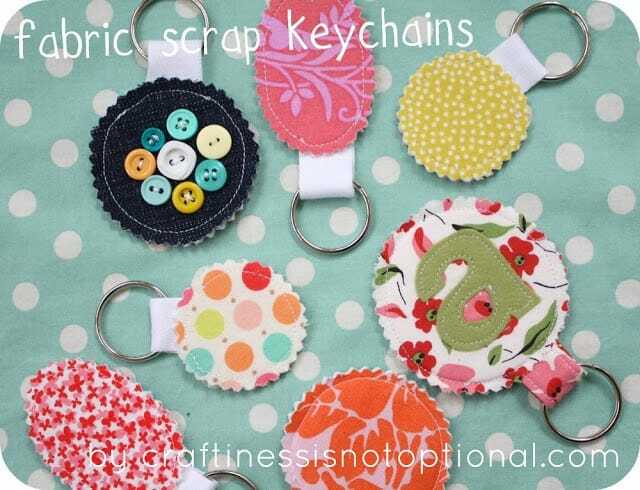 Although they do require some seaming that’s on a rounded shape and not a straight line, they’re still simple to make and they’re actually quite a good learning project for helping your kids master turning their work in the sewing machine. 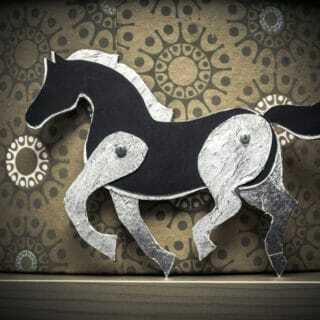 Get the full instructions on Charm Stitch.